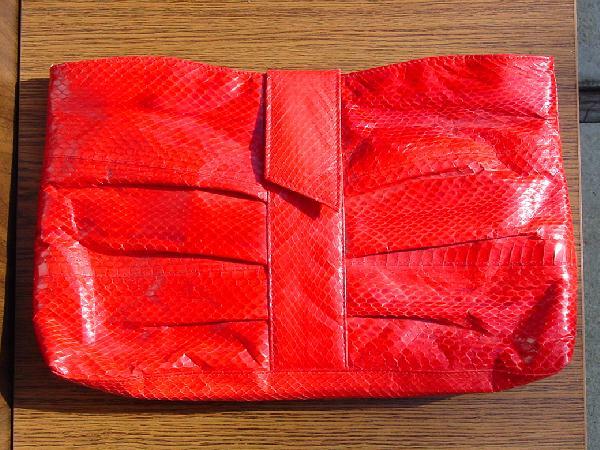 This vintage red-orange snakeskin purse was made in Hong Kong. 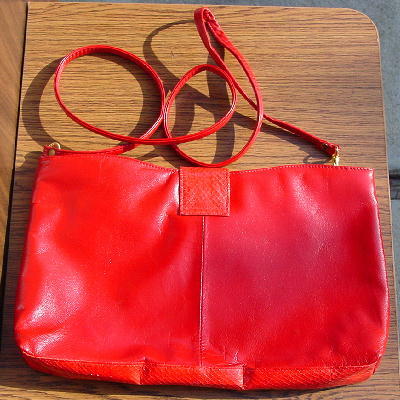 It has a center top side to side zipper and a red interior with an interior zip pocket with a black fabric lining. There is a center 1 3/4" flap magnetic closure and it has a 47" detachable shoulder strap, so you can carry it as a clutch if you want. It belonged to a Miami model.